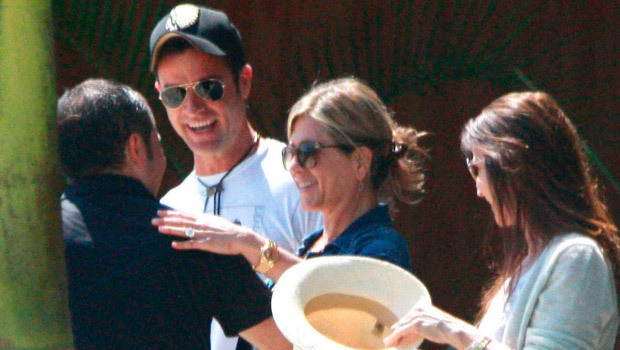 Jennifer Aniston and her fiancé Justin Theroux have arrived in Los Cabos, Mexico, for a romantic break away from the celebrity spotlight. The pair were snapped yesterday as they arrived, with Jennifer covering her stomach with her handbag as she was greeted by friends. Rumours then once again started circulating that the A-list couple could be keeping a baby secret from us – that was, until Jen emerged from her hotel dressed in the tiniest red bikini we’ve ever seen. The We’re The Millers actress showed her seriously toned tum in a small red string bikini which she wore on holiday back in December. There’s no hint of a baby bump whatsoever, just a gorgeous tanned, toned body – sigh. 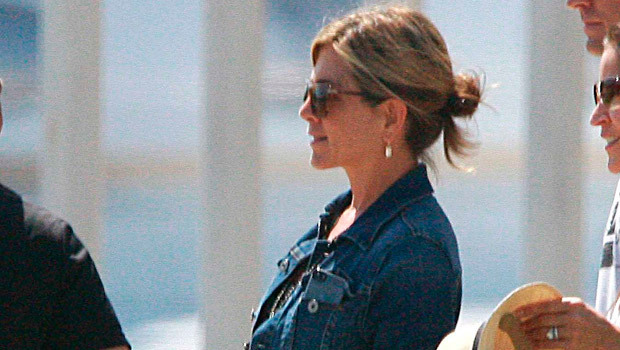 Jen whisked Justin away for a romantic break after completing the promotional tour for her latest comedy, We’re The Millers. The couple are being joined on their trip by Jen’s Horrible Bosses co-star Jason Bateman and his wife, Amanda Anka. Sounds like she definitely deserves a break.